Pioneers in the industry, we offer conveyor belts and conveyor belt from India. The sturdy design and structure of Conveyor Belts makes them ideal for multiple usages. They are made out of food grade material to ensure high safety and hygiene. They are durable and can stretch without breaking. These materials are flexible and can fit in with ease with many devices. We ensure that our clients get the best product that thoroughly suits their requirements. 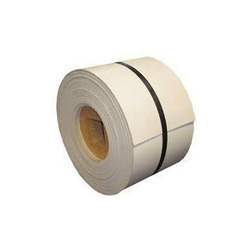 The sturdy design and structure of Conveyor Belt makes them ideal for multiple usages. They are made out of food grade material to ensure high safety and hygiene. They are durable and can stretch without breaking. These materials are flexible and can fit in with ease with many devices. We ensure that our clients get the best product that thoroughly suits their requirements.